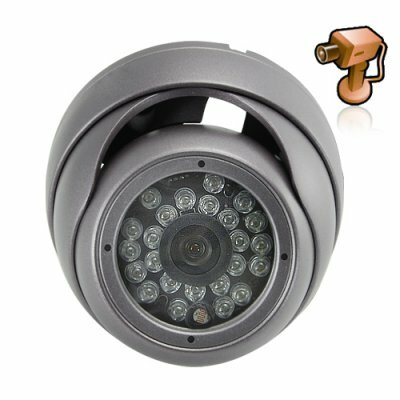 Successfully Added IR Dome Camera - 1/3 Inch SHARP CCD -PAL to your Shopping Cart. Security Dome Camera, with IR lights for night vision and a 1/3 Inch SHARP CCD image device for great quality color image capturing. This product uses the PAL color system. If you need an NTSC version then please order JKC-910PD-NTSC. This comes with a 3.6mm lens.